More about Rosa - permafunK ​ CELEBRANDO JUNTOS..
WE work with other local organizations like Butte College Sustainability Resource Center, the Organic Vegetable Project at Chico State University Farm, Fungi Perfecti, Redwood Seed company, Grub Education. Grub Grown & others to bring Permaculture & Regenerative Agriculture Education to our communities. 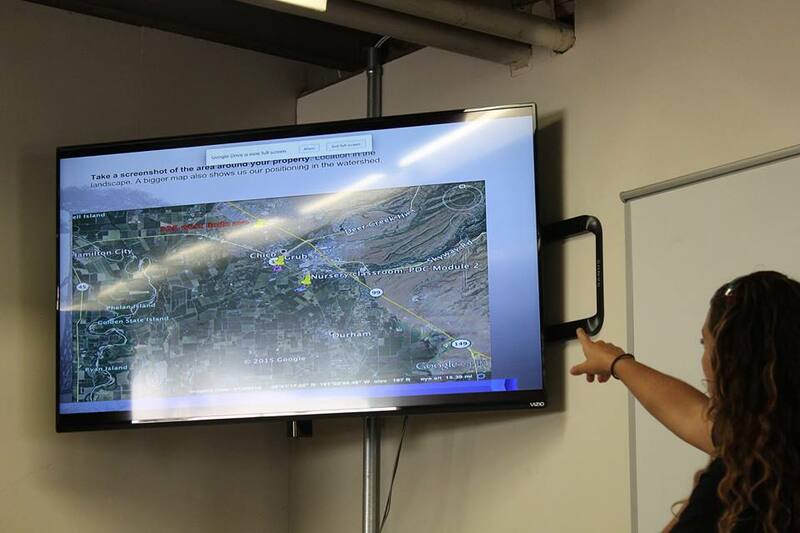 Permafunk has two teams that simultaneously work in the Mediterranean coast of Spain and in Butte County, CA, USA. I am a Permaculture consultant, designer & facilitator since 2009. I have a Bachellor in Education by the University of Valencia, Spain where I was trained as a English Teacher. I am bilingual ( Spanish/ English ), as I am originally from Spain where permafunk was first originated in 2010. 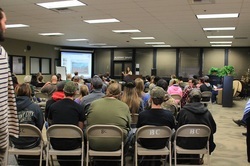 For the last 4 years I teach a Permaculture & Regenerative Agriculture Series at Butte College & I run an educational organization that teaches sustainability skills, community & land regenerative at Chico State University Farm & other locations in Chico. During the last 9 years I have been trained in Permaculture & Regenerative Agriculture Design ( PDC ) by the Southern Cross Permaculture Institute of Victoria, Australia, by the EDE Foundation in Bali, Indonesia, by the Institute of the Balearic Islands in Spain & by the Permaculture Research Institute of Australia. I studied with Holistic Management International for the last 2 years to become one of their certfied educators in Holistic Planning, Grazing Planning, Biological & Financial Planning for farms & ranches. 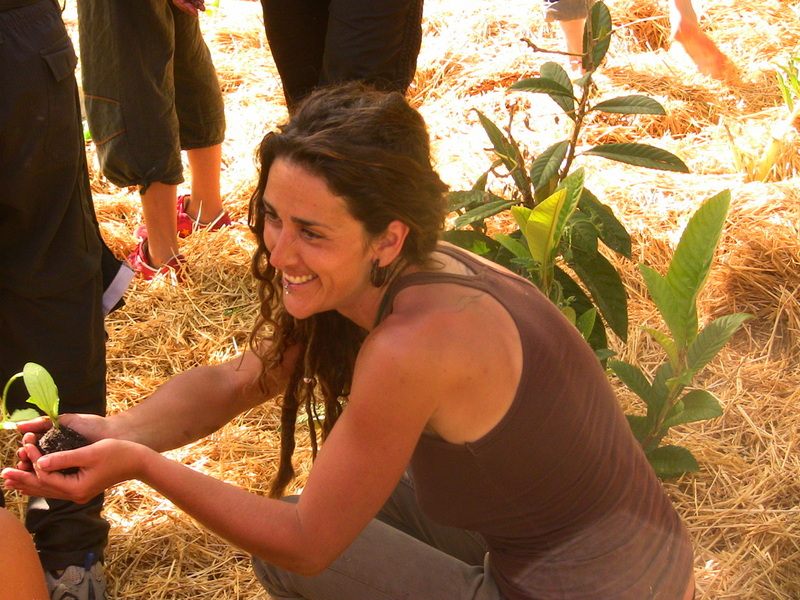 Ecovillage Design Certification by Gaia Education, Mallorca, Spain, 2011. 1 year volunteer at an organic farm & sustainable training center in Bali, Indonesia as a project manager,facilitator & workshop coordinator. Trihita Karana, Ubud Bali, Indonesia. 6 months as workshop coordinator & translator in Regenerative Agriculture Workshops & Courses in Spain as Workshop Coordinator. Permamed Mallorca, Spain. 2 years working as Organic Farming consultant & workshop facilitator in an educational nonprofit called Grub Education, Chico CA, USA. 6 months volunteer as a permacutlure designer & garden manager in a sustainable eco village called Crystal Waters in Brisbane, Australia. 6 months as Project manager, designer and facilitator in an sustainable ecovillage called The Green Heart of Ibiza, Spain. 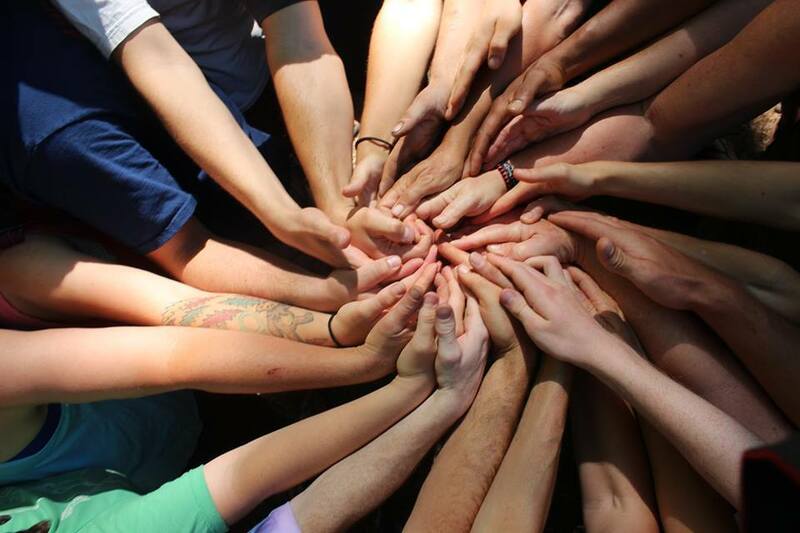 4 years facilitating in sustainability events as Earth Day and Sustainability Days in Butte College, Chico, Ca, USA. 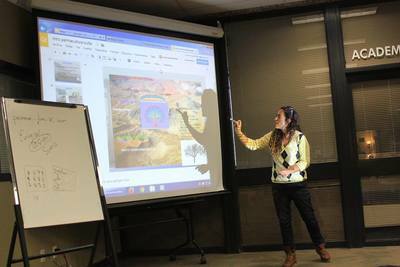 3 years offering Permaculture Design Certification courses at Chico State University Farm and other private properties in Chico, CA. 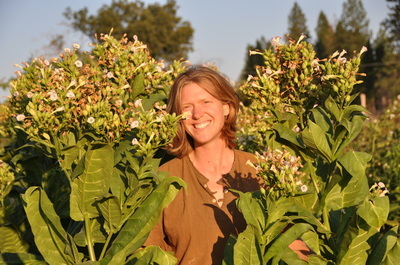 6 years offering hands-on workshops and free lectures in different community gardens & urban farming projects in Chico, CA. 7 years as workshop coordinator and main facilitator of hands-on workshops throughout the Mediterranean of Spain. These are the options on how I can help you move towards making your land dreams come true and achieving a more sustainable way of leaving. If you have a vision we can make it a reality. Rosa Maicas. Founder and main facilitator of perma-fun-K.com. Permaculture designer & educator by Southern Cross Permaculture, Australia, EDE Foundation Indonesia, Institute of the Balearic Islands & Permaculture Research Institute of Australia. Eco village designer by Gaia University in Europe. Phd in Education & 4th generation farmer. Holistic Management Land Planning educator, Grazing Planning educator, Biological Monitoring & Financial Planning educator certified by HMI. ​Keyline Design & Regenerative Agriculture facilitator. John Champaign. 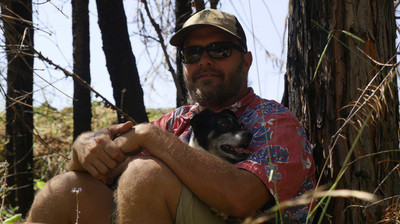 In Australian and regional permaculture circles, John Champagne is one of the principle Permaculture teachers and has been lead teacher on permaculture courses for over 10 years. John’s teaching career has taken him all over Australia and in recent years to South East Asia where he has taught Permaculture Courses (PDC’s) and workshops in Thailand, Indonesia, Malaysia and Cambodia. 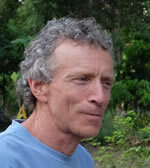 John brings to any event the experience of over 22 years of active involvement in the permaculture movement. From private property design & establishment, consultancies, school gardens and eco-village designs, his activities are well documented. include grazing planning, increasing soil organic matter, replacing invasive/pest species with diverse communities of life, land infrastructure planning, biological monitoring, financial planning, consensus building, and Holistic Management®. 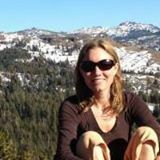 Dr. Liles is a Chico, CA native who earned a bachelor’s degree at Chico State with an interdisciplinary special major in soil ecology. Leadership & social change facilitator. Lee Atelier. (PhD, Cornell University) has over 18 years teaching experience in the College of Agriculture at California State University, Chico. He was a horticulture volunteer for the Peace Corps in Nepal for three years, worked for the USDA on agricultural water quality for three years in south Georgia, and has been teaching and doing research in Thailand since 2001. 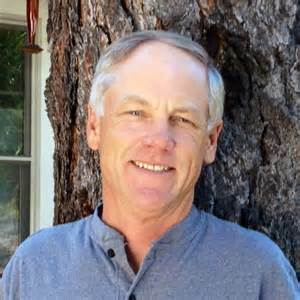 His research interests are in cropping systems and agricultural ecology, he directs the Organic Vegetable Project on the Chico State University Farm, and he is a certified educator in Holistic Management. Kalan Redwood. Owner of Redwood Seed company: growing more than 200 seed varieties, 95% of that total is grown locally in their property. Mostly Heirloom and open pollinated varieties that will perform fantastically in our Mediterranean climate.